Suzuki has extended its offer of £500 off all new GSX-R125’s and GSX-S125’s sold until the end of July, as the brand continues its push to attract those new to motorcycling with affordable and efficient transport. Recruiting new riders has been a key focus for the Japanese firm, which recently hosted a CBT day at its UK headquarters in Milton Keynes for its own employees to take their first step towards a full license. As well as benefiting from £500 off the RRP, the commuter-friendly small capacity machines will continue to be available on 3% APR Representative Hire Purchase agreements over 12, 24, or 36 months. The new GSX-R125 and GSX-S125 get a full LCD dash, while the GSX-R125 gets keyless ignition for that added level of practicality. Both also get Suzuki’s easy-start system, and LED headlights and running lights. They also come with an industry-leading three-year warranty and Datatag’s MASTER security kit fitted as standard. 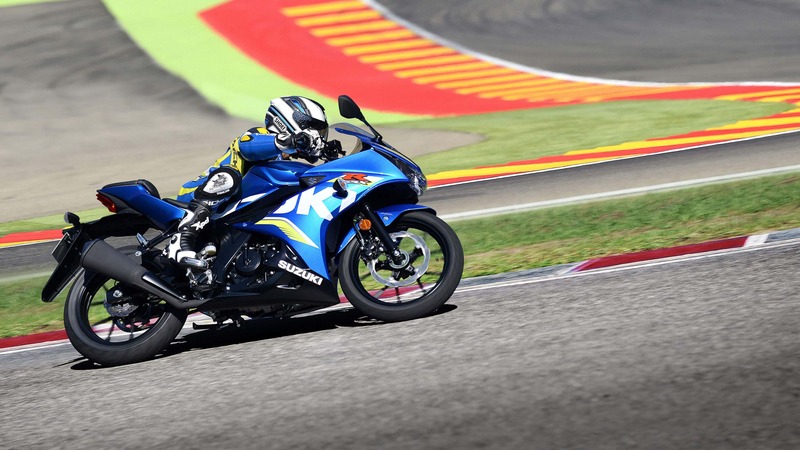 For more information on the GSX-R125, click here. For the GSX-S125, click here. Credit is subject to status and is only available to UK residents aged 18 and over. Suzuki Finance, a trading style of Suzuki Financial Services Ltd, St. William House, Tresillian Terrace, Cardiff, CF10 5BH.